We’ve all heard that the heart of the home is your kitchen and for my family, it truly is. The kitchen is where meals are made, food is eaten, conversations happen and life is shared. My kitchen, as I’m sure yours is too, is one very busy place. 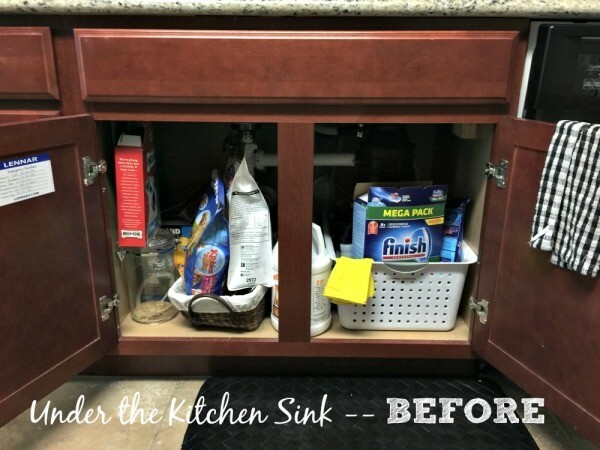 So when it’s disorganized, disheveled and a downright mess…so am I. I like my glassware to sparkle, my cabinets to not be bursting at the seams and for the contents under my kitchen sink to be accessible. I like to set up my kitchen for success. How do I do that? With a few basic rules and tools. 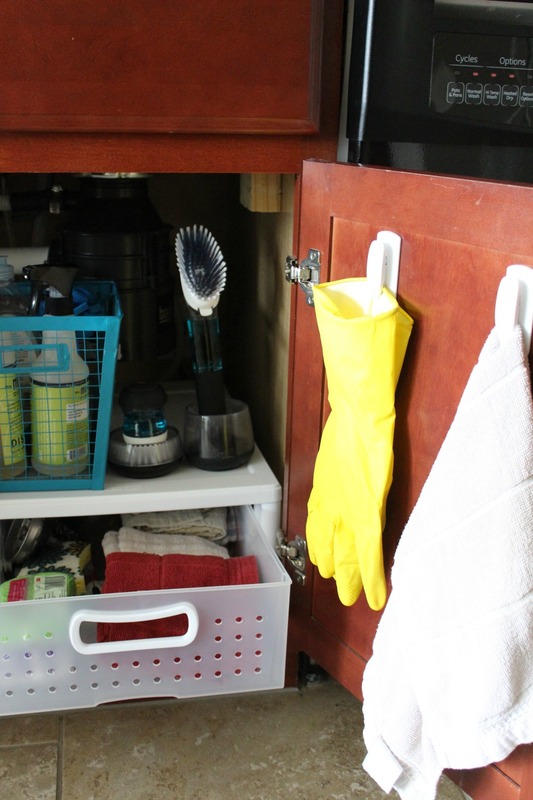 Let’s talk about a deep, dark, sometimes scary place in your kitchen — under the kitchen sink. It’s so easy to forget about what’s hiding under there and just focus on those few items in the front. 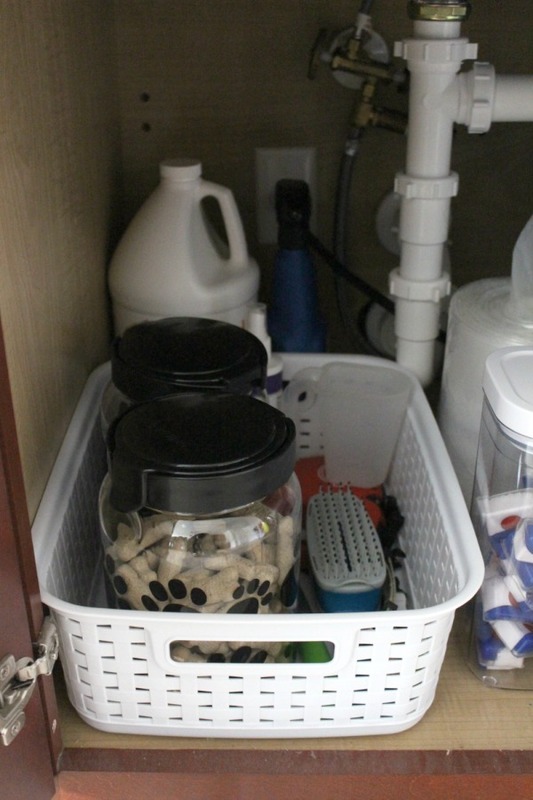 Back in the day I owned a professional organizing business and could tell you all kinds of neat stories about the things I found under people’s kitchen sinks. But I won’t. Let’s just say it wasn’t only dish detergent, sponges and rags. What items are absolute musts for this space? What would make this space more enjoyable? Let’s use under the kitchen sink as an example. 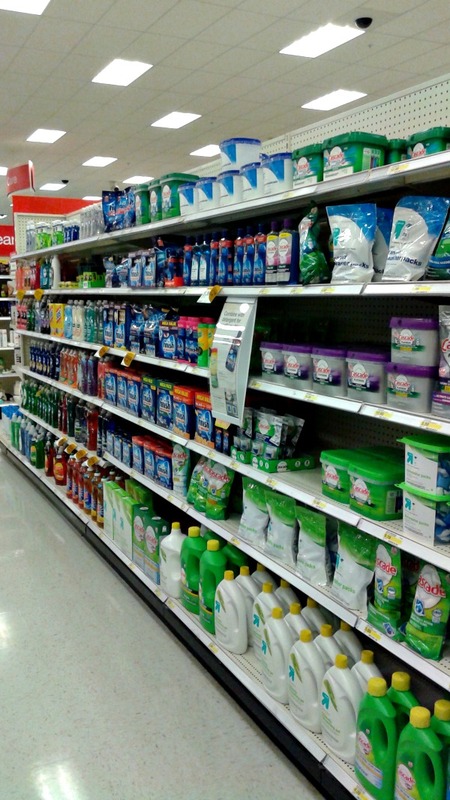 Answer to Q4: Dish detergent is easy to get to and there’s one container corralling everything – kind of. 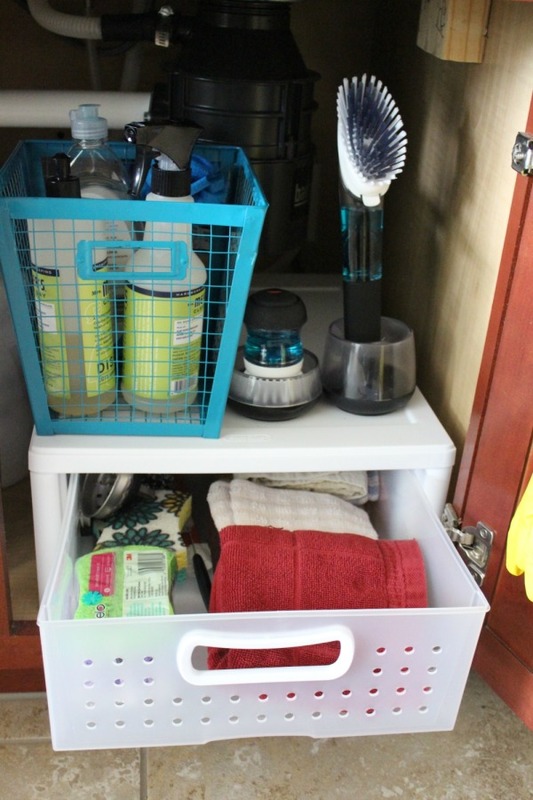 Answer to Q5: A drawer to store towel, sponges, rags. 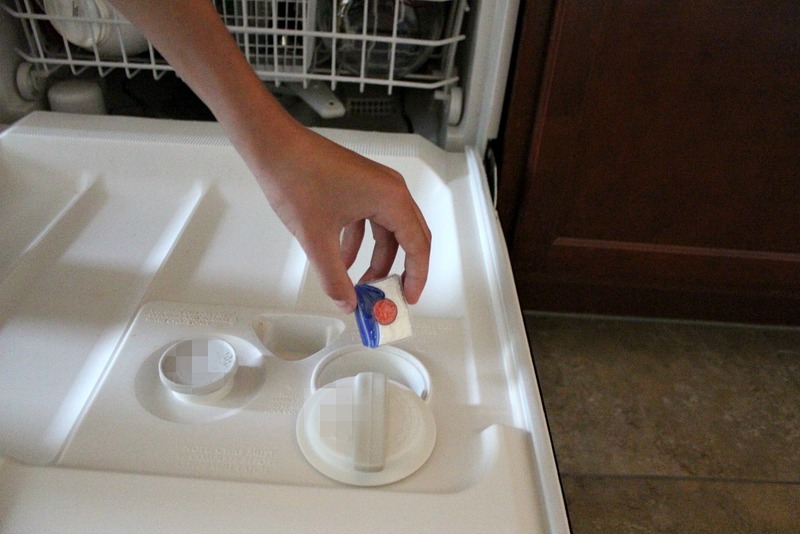 A container for dishwashing detergent. Containers for dog treats/food. Is it trash? If yes, throw it away. Does it stay? If yes, set it aside. 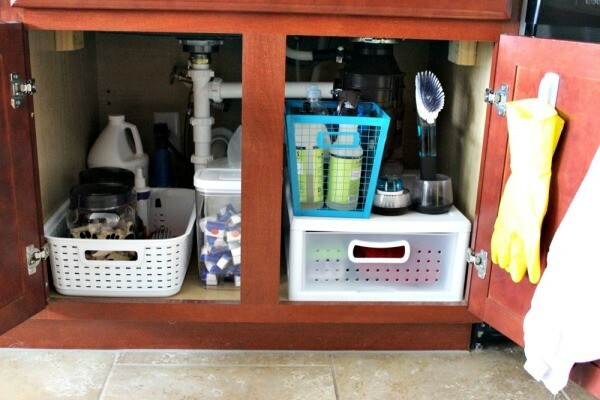 I went through the organizing process for under my kitchen sink and here’s the result. First, I knew I wanted a container for my Finish® Quantum Max™ dishwasher detergent. I love looking at a clear container with the product in it, rather than the box or bag. It also makes it really easy to get to. 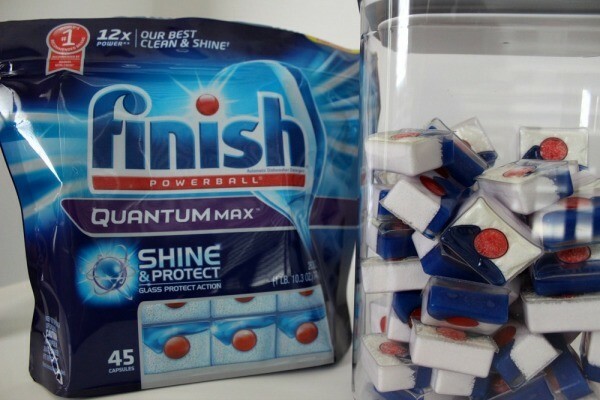 I purchased the container and the Finish® Quantum Max™ tablets at my local Target. I love the final result. Now I know exactly what’s under my sink and everything is easy to reach. It’s little changes like this that make a big impact on my efficiency in the kitchen. I could go on and on, but I’ll save more details for a later feature. When it comes to setting up your kitchen for success, think about how often you’re in the kitchen and take note of ways you can cut your time down. I recently went through a little experimenting phase with my dishwasher detergent. I tried quite a few brands and even made my own, which turned out horrible by the way. 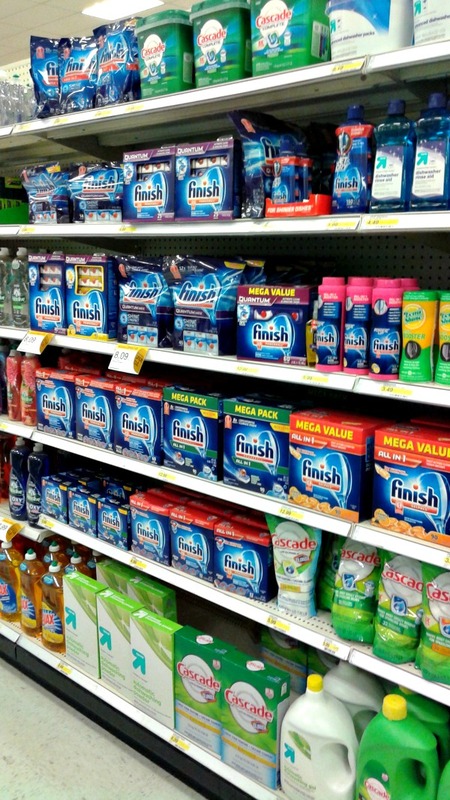 I ended up going back to the brand I’ve used for years – Finish®. The Finish® Quantum Max™ tablets are easy to use, no unwrapping required, which I love! You just drop them in your detergent compartment and you’re good to go. Beginning March 29th until April 25th, you can save 5% on NEW! Finish® Max in 1™ & Finish® Quantum Max™ Small Size with Target’s Cartwheel Offer. If you’ve never used the Cartwheel app before, you are missing out! I always check my app for offers. The offers can start at 5% and I’ve seen offers as high as 40%. I love the bar code scanner option. You just scan the bar code through the Cartwheel app and it shows you if there are any offers on that product. It’s super simple to use. How would you like the chance to win some goodies, as well as a Target gift card to purchase Finish® products for yourself? You can enter to win prizes and Target gift cards starting at $25 and going up to the grand prize of a $100. Winners must be 18 or older. 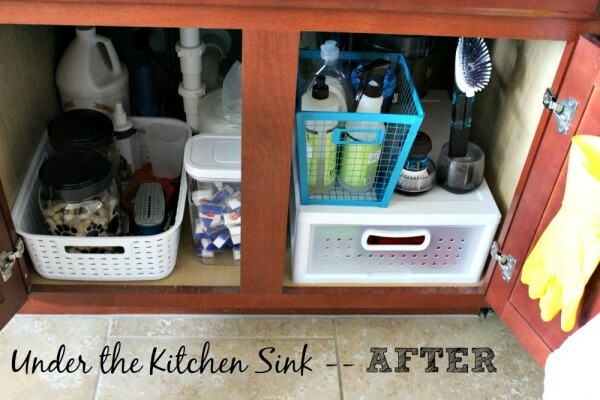 Do you have any tricks up your sleeve when it comes to setting up your kitchen for success? Let me know!